SKU: N/A. 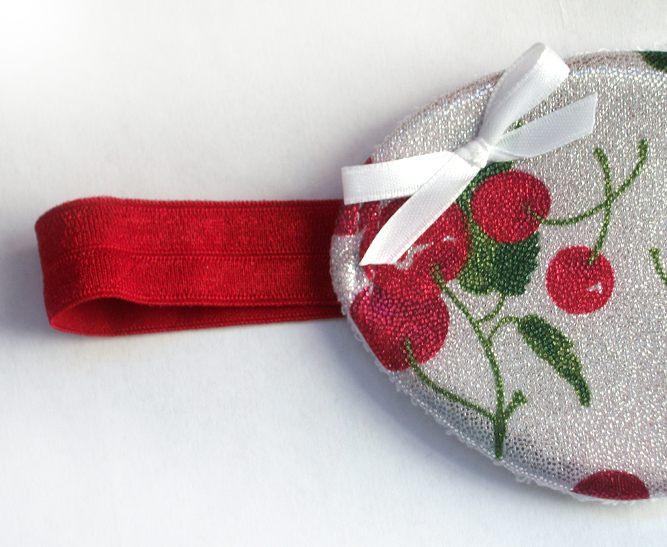 Categories: Accessories, Sleep Masks. 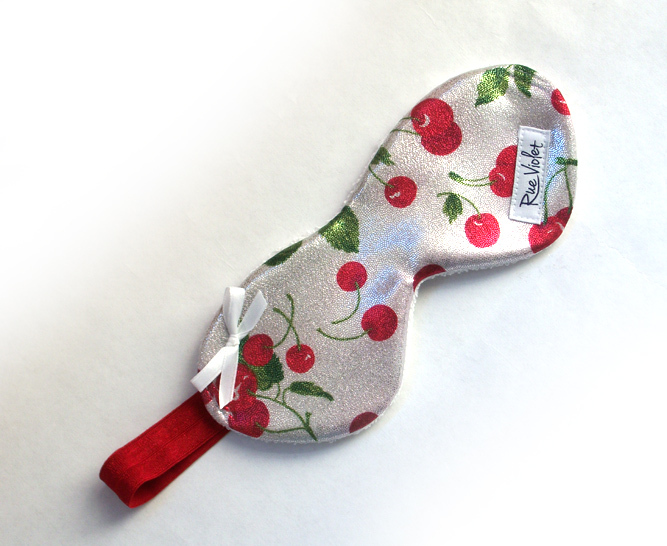 Tags: cherry print, sleep mask. This little fancy comes in black or silver foil printed spandex. 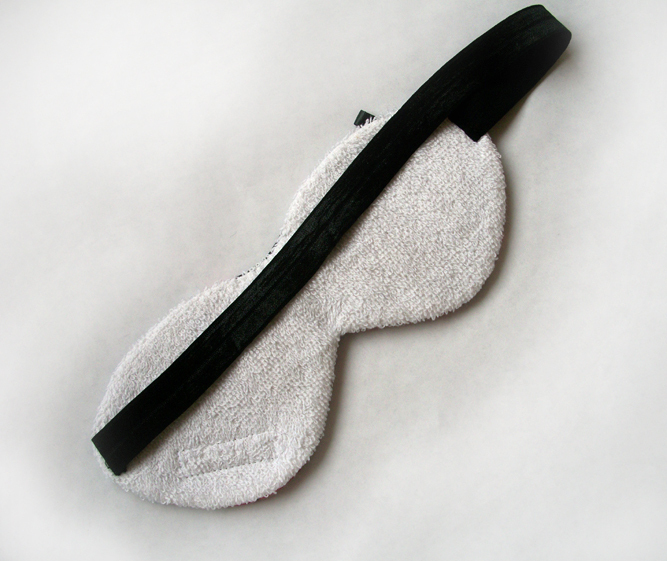 The front is nylon spandex, the face side is 100% cotton terry and the inside is black canvas. The elastic band is a soft satiny elastic that won’t hurt your hair or feel too tight. Catnap or travel in style! Machine or hand wash cold, air dry. No chlorine bleach.